My blog friend Leslie watched all the Best Picture Nominees before the Academy Awards, so I asked her how she ranked them. Here's her answer. I’m not certain my rankings would mean much because they are based on those I’d see again and for different reasons. 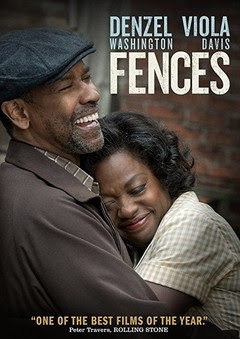 Fences – the writing and acting were brilliant, and the movie reflected on a hard time that, though painful for AA in our nation, still offered some hope for the future (I thought). La La Land – It was fun and entertaining and I love musicals, including this one, despite the actors’ limited musical talents. The cinematography and sets, and “flow” were altogether what I enjoy when I want to be entertained. 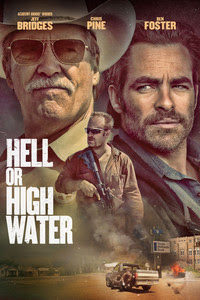 Hell or High Water – I liked everything about it – writing, actors, performances, the flow of the movie (I guess that would be directing and editing) cinematography, etc. The rest of the movies are not anything I’d see again – with the possible exception of "Lion" and maybe "Hidden Figures". The acting in those two were fine, and I think I may have missed a thing or two in each of them. Lion was a heart tugger. And I’m not all that fond of Dev Patel. Hidden Figures was like a made-for-tv special that was interesting and again, offered a reflection of a time that affected women in general – not just women of color. I liked the chemistry of the actors in this movie. Arrival was interesting and challenging to “figure out”. And I’m not really a sci-fi fan. I didn’t dislike it, but it isn’t my genre of choice. Hacksaw Ridge even though I liked the movie. I found it to be engaging and very well done, but I don’t like war movies in general and this movie did not hold back on the bloodshed. 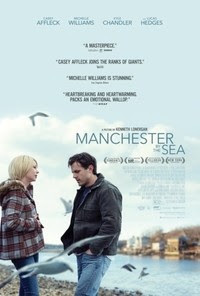 Manchester By The Sea was one of the most emotionally draining movies. The emotional tension was so strong, I could barely breathe throughout it. It was a really, really good movie. The story, direction, performances, everything about was great. But I left there feeling so sad that it was almost like being at work for me and I retired for several reasons. Emotional toll being one of those reasons. 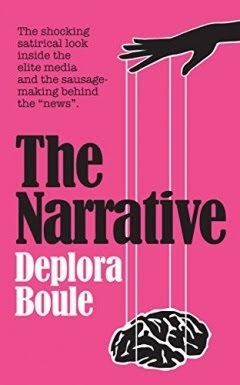 Perhaps if I hadn’t done the work that I did for the last nearly 30 years, I might not have been as affected by it. 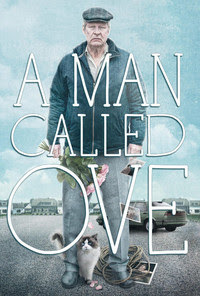 In the area of Foreign movies, I really liked A Man Called Ove. It was a quiet movie about a man whose wife had died and was challenged with shaping his life without her. Thanks to Leslie for sharing her thought, based on which I am running out to rent Hell or High Water. I will like to re watch all movies. Specially La La Land and Fences. Only subsequently film's producers had begun their acceptance speeches was it discovered that Moonlight had indeed won the award. 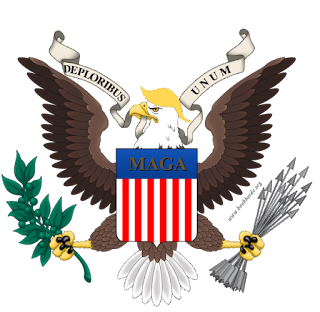 "Once the error occurred, protocols for correcting it weren't followed through quickly enough by adult male Cullinan or his partner," aforesaid the line of work firm. One of Cullinan's colleagues told selection that the bourgeois "feels terribly, terribly terrible" and "is terribly upset regarding this mistake". The mistake brought a chaotic finish to Sunday's Oscars ceremony, hosted in la by program host Jimmy Kimmel. The nominees for the 89th Academy Awards were proclaimed on Gregorian calendar month twenty four, 2017, via international live stream from the Academy. The organisers of the Academy Awards "deeply regret the mistakes" that light-emitting diode to La La Land being incorrectly named best image. Watch it all on www.movies2k.us in full HD. Moonlight had truly won the award, however the envelope mistake light-emitting diode to Dunaway asserting the incorrect film.